The Cuisinart FP-11GM is a food processor which allows users to comfortably prep larger portions of ingredients for bigger meals. With an 11-cup work bowl, 1 stainless steel blade and 2 discs, it’s the ultimate time saver, making quick work of everything from chopping nuts and puréeing soup to slicing tomatoes and shredding cheese. The rubberized touchpad with pulse control offers the ease of use and versatility that makes this classic the favourite of creative home cooks. 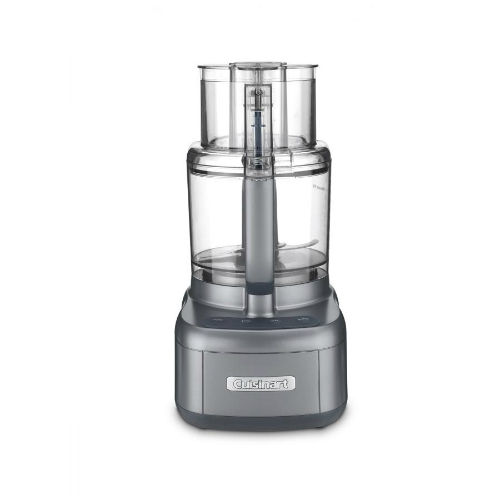 The Cuisinart Elemental 11 Food Processor - Grey Metallic has many exciting features for users of all types. You can extend the lifetime of your Cuisinart Elemental 11 Food Processor - Grey Metallic with the purchase of a FactoryOutletStore Factory Protection Plan. 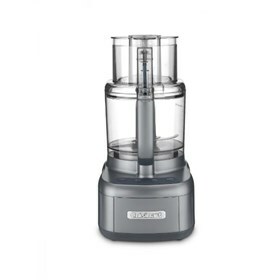 The Cuisinart Elemental 11 Food Processor - Grey Metallic is sold as a Brand New Unopened Item.